Even though this is an outfit post, these pictures were taken during our Cuba trip in the most touristic ambience possible. 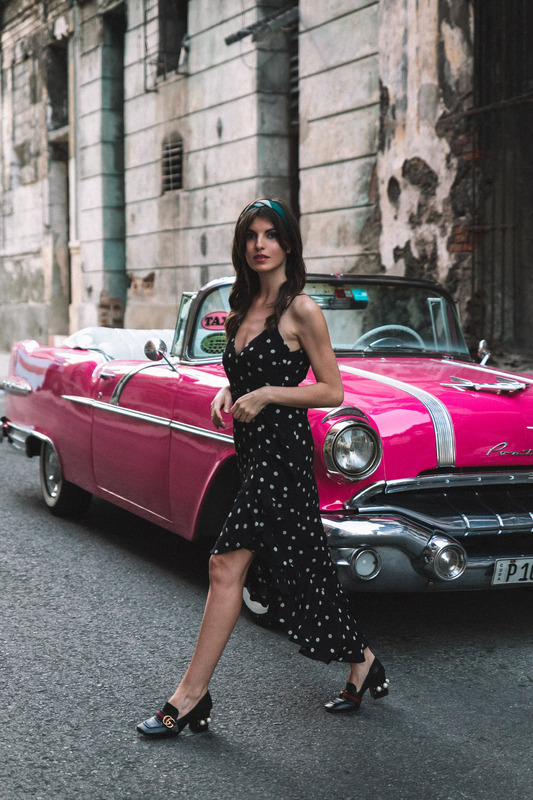 When in Havana, we, obviously, did a vintage car tour around the city, and after the tour we spent quite a lot of time shooting these images. Usually, the vintage cars for city tours are parked in front of the Hotel Inglaterra. There is a big selection of cars, and the possibility that you’ll get crazy choosing the ONE. It’s a cliché that girls always take pink cars, and even though I fell in love with every single color, mine had to be pink too (next time I’ll take red one). 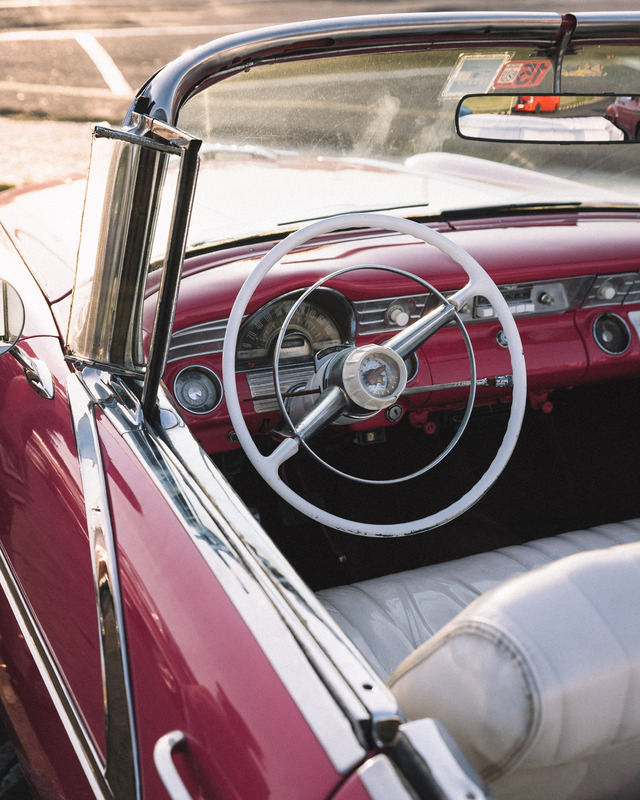 So here is my 1955’s pink Pontiac, a very pretty car, which I almost took to Paris. 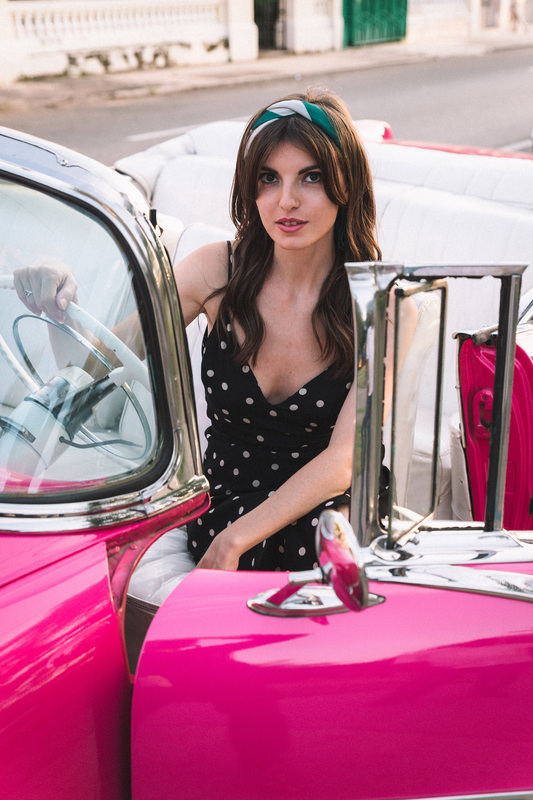 For this car tour, I wore my black polka dress from Revolve (here), Gucci shoes (here) and Tonya Hawkes clutch (here). Also, be carful when you drive in a cabrio, you’ll always need a scarf to protect your hair.